Your resume is your first introduction to companies and organizations you are interested in working with. It’s a preview of you, your history, and what you can do. No matter how accomplished or how little work experience you have, it’s important to consider what should go into your resume and what should not. You want your resume to represent you properly and show that you are the right person for the job. That’s a tall order for a page or two. In an increasingly competitive job market, try not to get overwhelmed. The job search is a serious undertaking but it isn’t as scary as people say it is. Your resume is the first step. Like we mentioned before, your resume is merely an introduction, an ID card for the job search. Never think that submitting your resume to 10 companies means you have 10 ongoing applications. Being a jobseeker doesn’t put you in a position to make any demands, no matter how nicely you ask. Your resume is a written sales pitch to make the recruiter want to hire you. Sometimes, your objective or summary will state the types of work you are interested in but to many hiring managers, they will sort you into buckets where they feel you are suited for. Never think that you can have a resume that “applies to everything”. That’s being lazy. Your best bet is to customize and tailor every application for the job you are applying for. Whatever your skill level is, whether you’ve got 10 years or 10 days of experience, you don’t have to list everything down. Your resume is not your autobiography and so you have to be selective about what makes the cut. A document that will look good to your friends, parents, etc. The only person(s) that your resume needs to impress are recruiters and hiring managers. If someone other than them say that your resume should contain this or that information, think twice before deeming it relevant. How do you show recruiters who you are and what kind of worker you’d be on a piece of paper or two? Here’s a secret: recruiters want each new resume they pick up to be the right person for the job. Let's get you started by going through the basics. 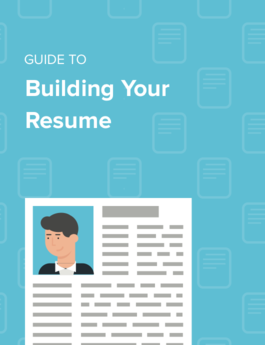 Each section of this guide is important to understanding the most effective practices for creating an impressive resume.